Mercury Systems offer widest range of security tagging products to suit any Supermarket/Off Licence/Convenience Store. For more details, please see our products page, or call us to arrange a no obligation site survey. Based in Ashbourne, Co. Meath, we provide a nationwide service to the Retail, Clothing, Pharmacy, Convenience and Supermarket security sectors. It’s barely Halloween but the Christmas wares have already begun to appear in the shops. The walls of selection boxes that send consumers into a frenzy are already lining supermarket back-walls. We’ll be listening to ‘he’s making a list and checking it twice..’ before the last leaves have fallen off the trees. 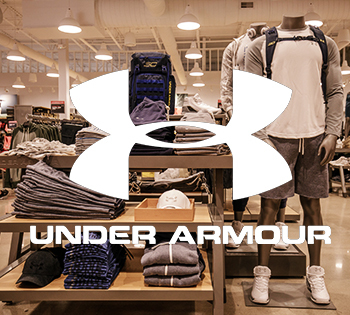 So what does that mean for retailers? how you can reduce loss this year and prepare for the season ahead? Have you begun recruiting your seasonal staff and have you put enough time into ensuring they are well trained and able to work with you as the retailer to reduce loss? It can be a challenging time for your staff with additional point of sales perhaps in operation, a fast pace as people rush through lists, expectation of late nights and extra hours. 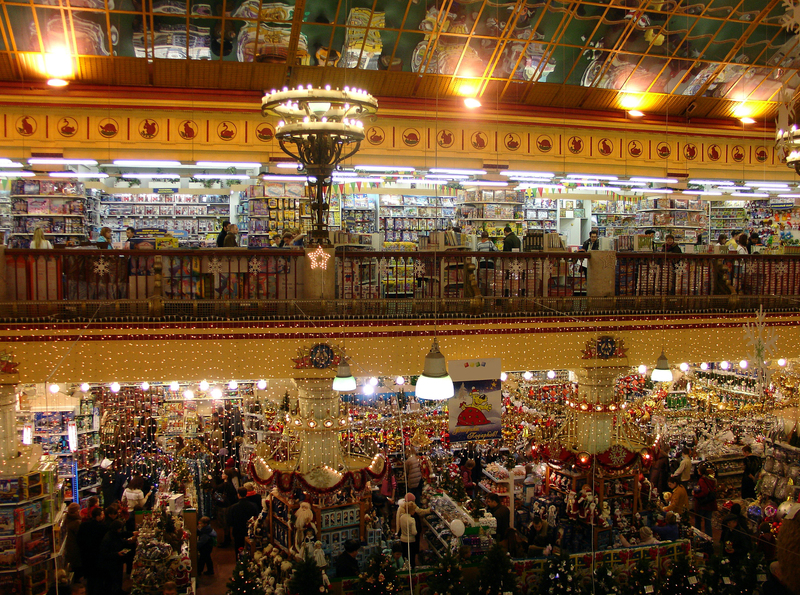 Shoppers cram a year’s worth of gifts and food shopping into a short timespan, with 45% of the total traffic for Christmas predicted by ShopperTrak to take place over 10 days. Its worth checking out their infographic as while US themed on dates, very often the Irish market follows US trends. Your staff are your best asset in relation to preventing loss in store – give them the training and support that they need to deal with the increased traffic. Supermarket and local shops worldwide lost $9 billion in shrinkage over the past year according to the Sensormatic Global Shrink Index 2018 (search online via hastag #GlobalShrinkIndex). Anti-theft tags, such as Bottlelox, offer innovative designs to protect retailers’ on-the-floor goods from shoplifting. 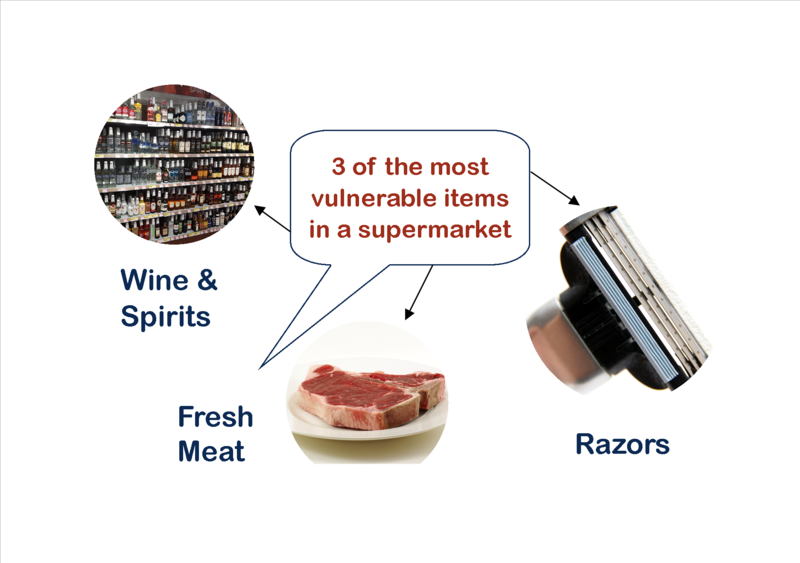 With alcohol, razors and fresh meat being the three most vulnerable items in a supermarket – can you afford not to protect your stock? Find out what options Mercury Systems has to suit your needs and gear up for the shopping season ahead – click here or contact Tom Dunlea. “In June of 2017 we approached Mercury Systems with regards to EAS Tagging solutions to protect Alcohol, Meat, Healthcare and Deli Products. Contact us to find out about a workable solution for your premises. Mercury Systems are delighted to announce that we are now authorised distributors of the full range of Tyco/Sensormatic EAS ‘Tagging’ products throughout Ireland. Sensormatic are known as the premium worldwide manufacturer of AM EAS ‘Tagging’ Systems. Mercury Systems is Ireland’s leading supplier of retail loss prevention systems. We provide a nationwide service to the Retail, Clothing, Pharmacy and Supermarket security sectors. We tailor our products to your needs, ensuring your success, whatever the sector. Nedap Retail Analytics to all existing EasiNet customers Designed to offer enhanced Footfall data, and now to include Dwell Time Analysis. Contact Mercury Systems for more details. Retail thieves are stealing more often and the value of their crimes is increasing, according to the British Retail Consortium. According to every measure, retail crime is on the rise in the UK. That’s according to the latest report from the British Retail Consortium. In its annual Retail Crime Survey, the BRC has found that every category of retail crime – shoplifting, employee theft, robbery and burglary – has risen over the past two years or more. The Private Security Authority (PSA) has published a Regulatory Impact Analysis – “Licensing the Private Sector of the Private Security Industry ”. This process offers private investigators, industry stakeholders, interested parties and the public an opportunity to comment on the Regulatory Impact Analysis.